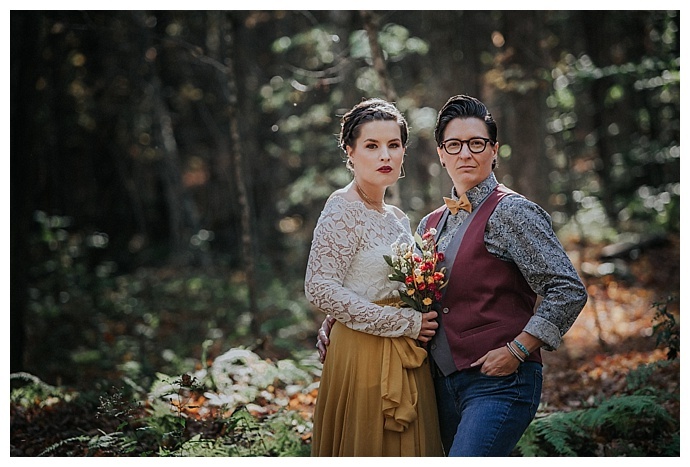 In the 11 years that Brittney and Shana have been together, they’ve never had professional photos taken. 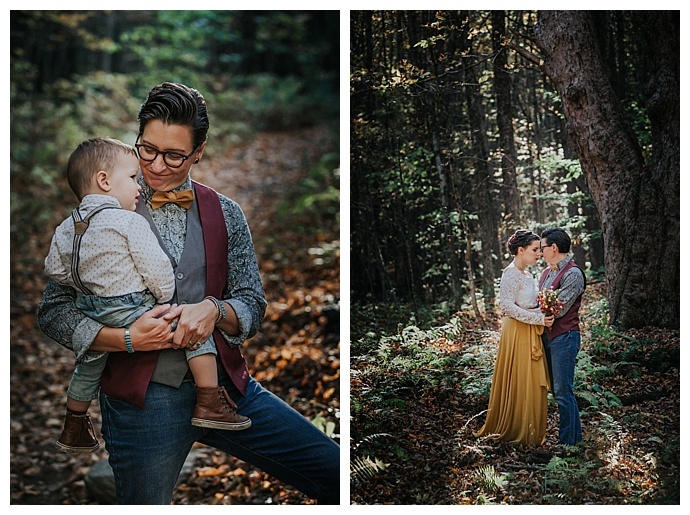 But for two photographers who run their own photography business, Love and Perry Photography, the birth of their son, Wilder, changed that. 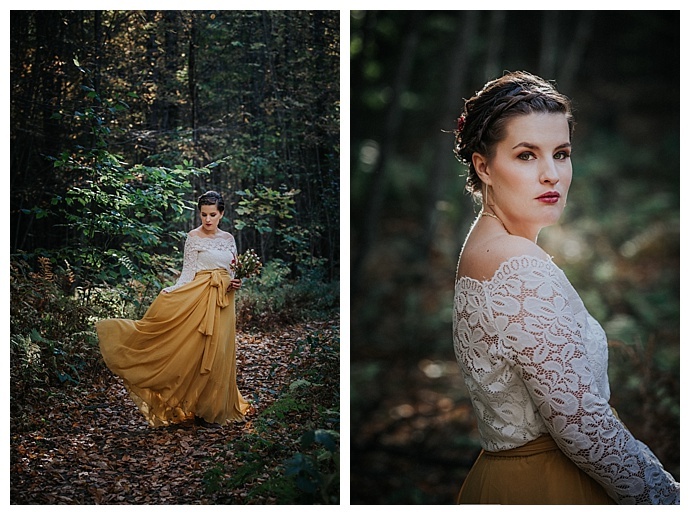 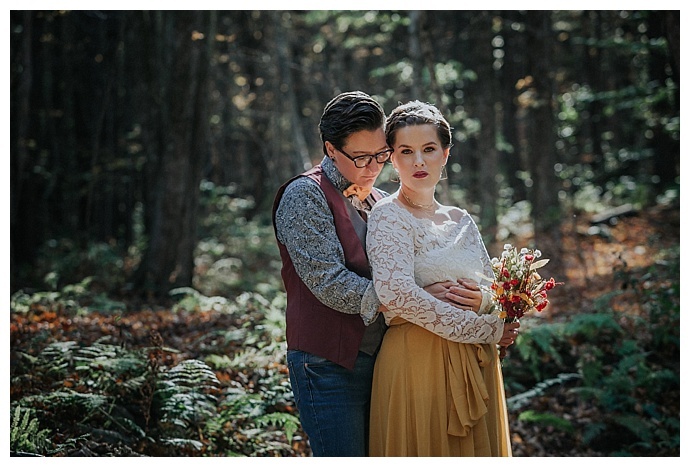 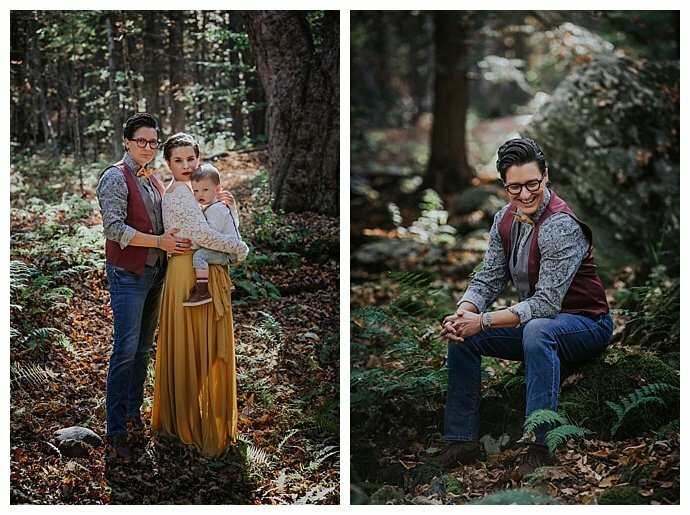 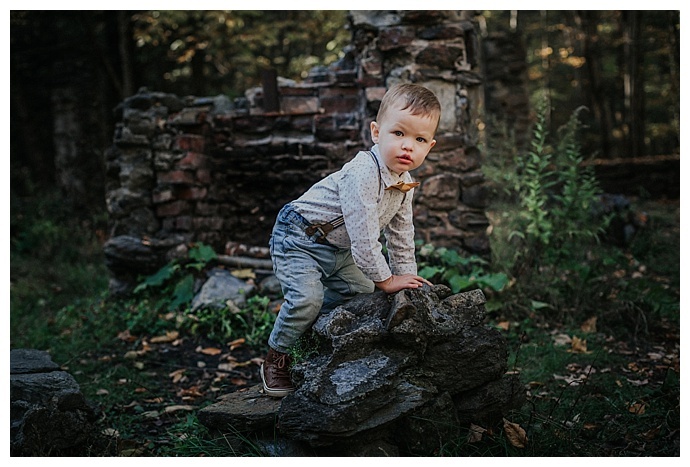 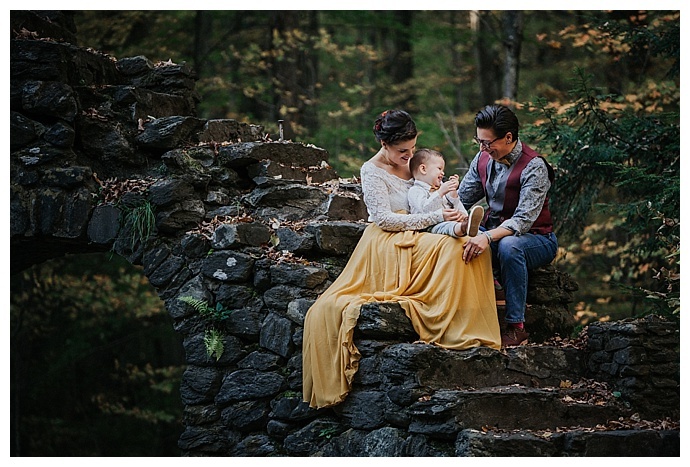 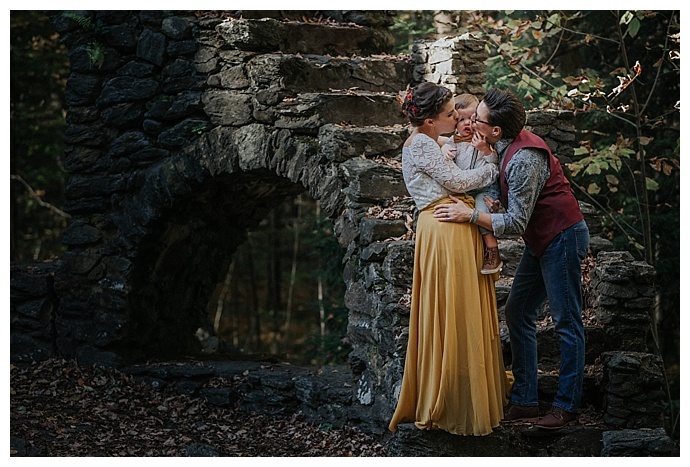 A layer of fallen leaves covered the ground at Madame Sherri Forest in New Hampshire where Sandra Costello Photography, who also captured Wilder’s birth, took the first professional pictures of the tight-knit family of three. 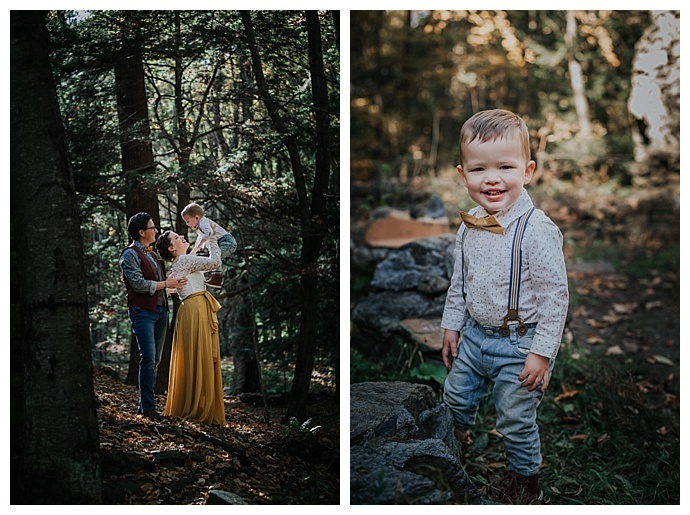 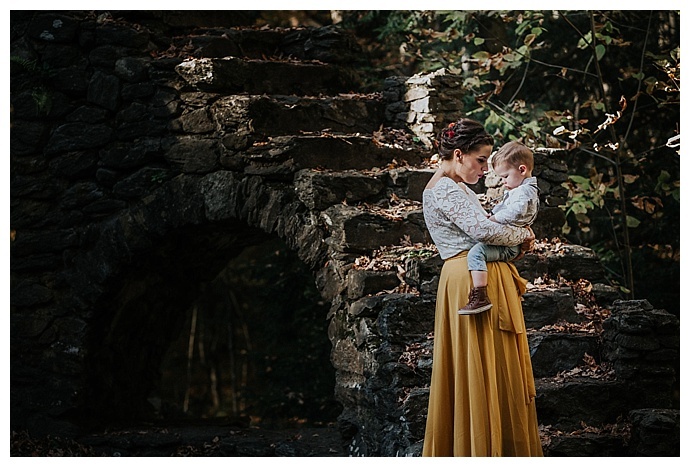 We love everything about this joy-filled family session, including their impeccable family style and the grin on Wilder’s face as he’s nestled in his mothers’ arms. 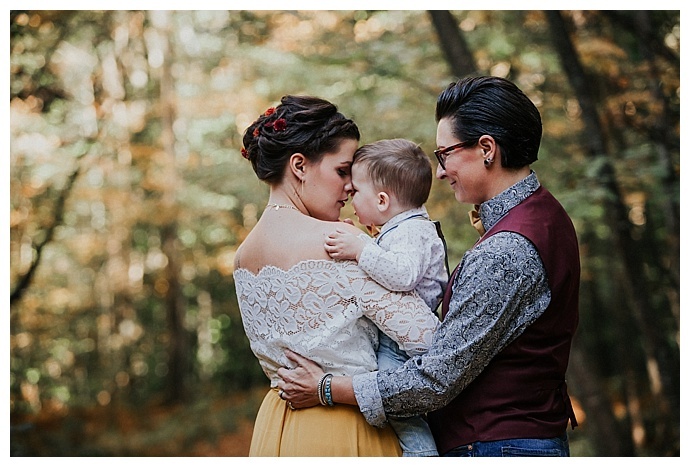 After more than 10 years together, Brittney and Shana were ready to become a family of three. 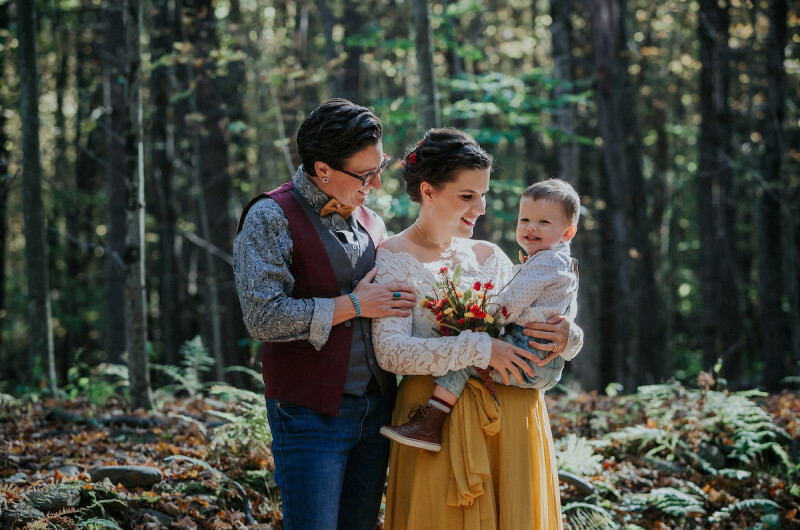 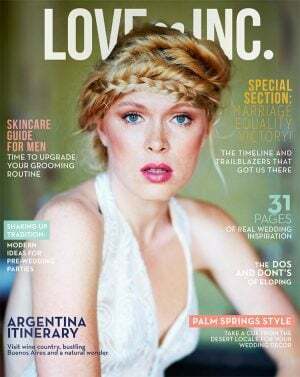 But with demanding schedules, especially during the busy wedding season, it would require a bit of planning on their part. 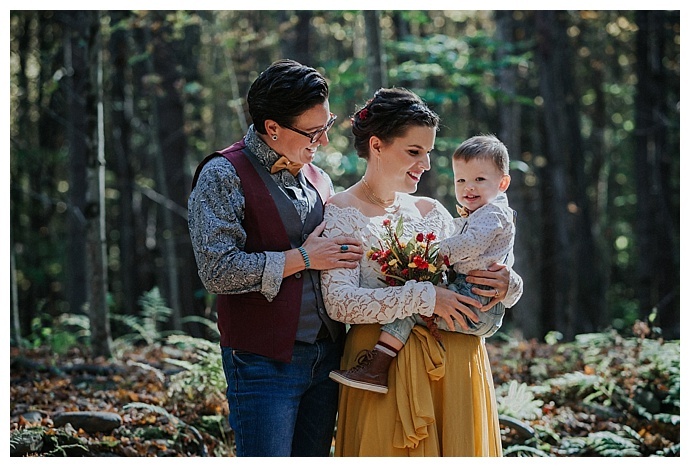 “There was a lot of time, research and planning put into bringing Wilder into this world — we had to make sure Brittney wasn’t going to be giving birth during our wedding season,” the proud parents say. 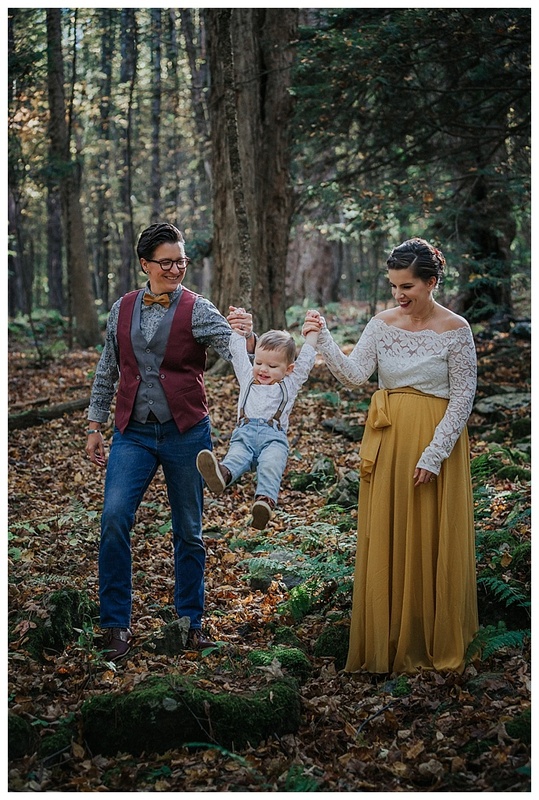 “We researched donors online and found an amazing donor who has been nothing but awesome throughout the whole process.” The first insemination proved to be a success, and it wasn’t long before Brittney and Shana were preparing for the arrival of Wilder at home with their midwives.